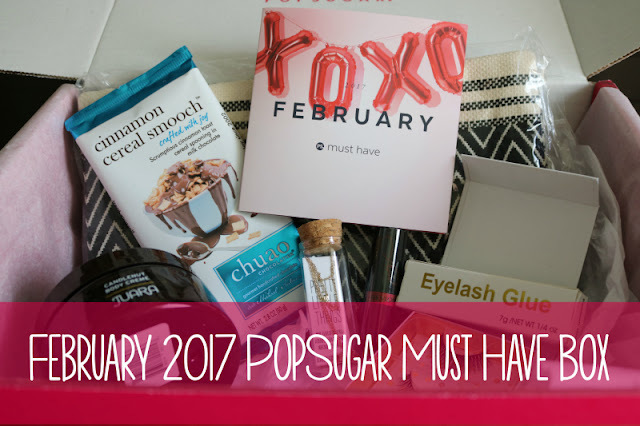 I was so excited to receive my February PopSugar box, so I knew I wanted to share it with y’all as soon as possible. The February box is a great example of why I love PopSugar so much. It’s has several items higher than the value of the box and is full of products I know I will use. I would never pay $98 for this reversible clutch, but I really like getting it in this box! Each bag is handwoven, and I really like that Tribe Alive partners with artisans around the world to employ impoverished women at fair-trade wages and give them access to safe jobs. The inside of this clutch says it’s made with love from India. Usually, I prefer silver jewelry, but this dainty gold necklace is so cute! I know I will get a lot of use out of it. For those that don’t know, I wear a heart necklace every day that Chris gave me for our first married Valentine’s Day, so these type of necklaces are my cup of tea! Also, the packaging is adorable. My skin always gets super dry in the winter, so I am always eager to try new body crème. This crème is thick, but it absorbs really quickly and is super moisturizing. I have never tried fake lashes, but I think I have to try these! I love the length and how these look. You can use them up to 25 times, and I like that they also included an eyelash glue. We have had Chuao before and really liked it. This flavor has Chris written all over it, so I passed it on to him! Revlon claims this red looks great on everyone, and I have to agree! It’s such a pretty shade and perfect for a Valentine’s (or Galentines!) date. The total for this box is about $223, which I think is amazing! I think it was a perfect box for this time of year, and I will use everything in it (except maybe the lashes). What do you think of the February PopSugar box? What is your favorite item? I love the Valentine's Day flair to this box! That chocolate bar sounds delicious!! I really want to get into these box deals, they just look so awesome! Its like a monthly gift lol I love it! Let me know how the eyelashes work out! One of these days I want to try fake eyelashes. I just haven't gotten around to it yet. LOVE reading your monthly reviews of these! I get Ipsy every month so I kind of feel like I can only have one monthly subscription at a time. Such great goodies in this box, definitely get your money's worth and try products you generally wouldn't buy for that sticker price! Love dainty necklaces, that's all I tend to wear! oh wow that clutch is ridiculously expensive, so how cool that you got it in the box! it's very pretty. the necklace sounds super pretty too. lashes you can use 25 times?! what?! i am super curious about that shade of red.. looks good on EVERYONE?? hmm.